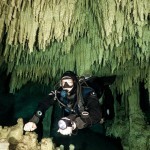 Everyone knows it– the Tulum and Akumal areas of Mexico are a cave diver’s dream. 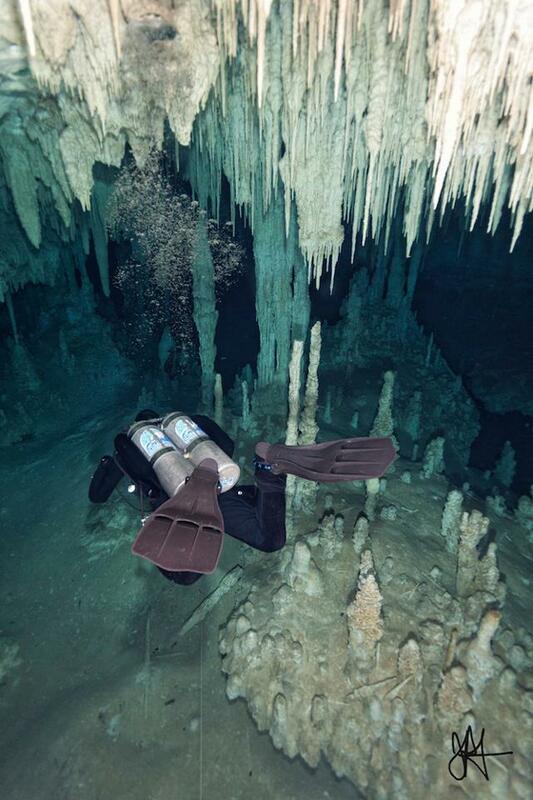 I’ve wanted to go to dive in the cenotes since I first got intro certified back in 2007, but for whatever reason never managed the trip. For convenience, we stayed at Villas De Rosa, which is privately owned by Tony out of Utah, and has had a reputation for being a great place to base a cave trip out of. 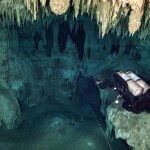 Villas De Rosa is located in Akumal, which is close to a lot of the caves. They also rent out doubles, side mount tanks and stage bottles for a fairly reasonable fee. While they don’t have a compressor on site, they get all their rental tanks filled nightly, and allow you to swap the tanks out during the day which is much faster than waiting for fills anyways. Limited on time after landing, getting the rental car and checking in, we decided to do a cave which Phil had dove on a previous trip. 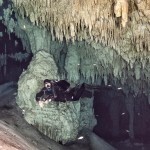 Nohoch is one of the best known “tourist” caves in Mexico. It’s fairly far down a teeth grinding dirt road which will do a number on any rental car, but the road is well marked. 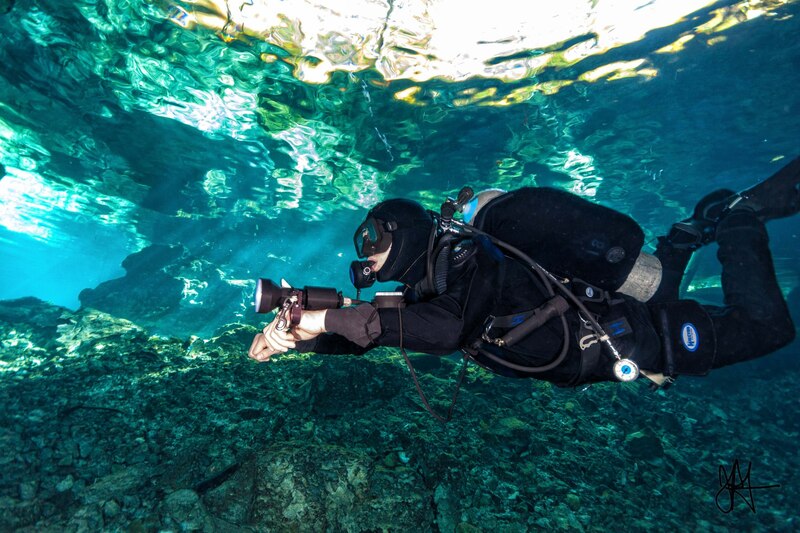 Upon arriving, there’s diver only parking, and someone standing by to take your money for diving. 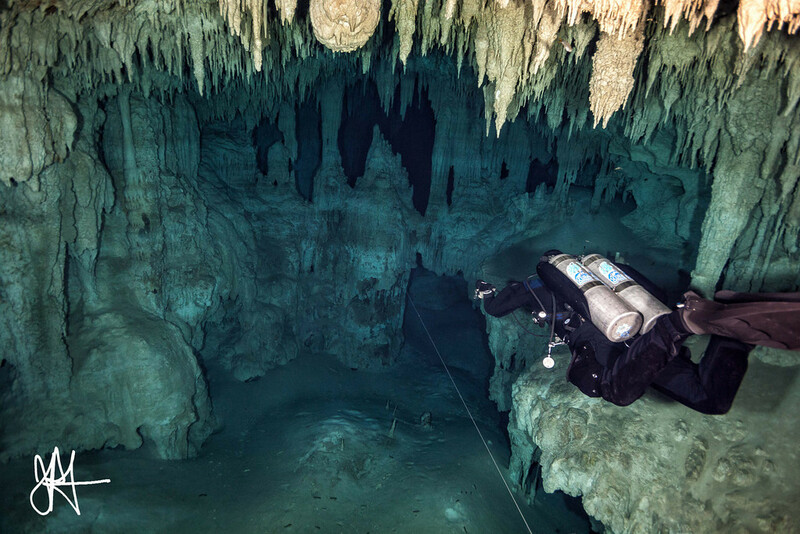 The mainline is easily found, and since we were low on time, we just followed that until another small cenote. These caves were so much more decorated than anything I had ever seen before that I didn’t really mind. This morning we decided to head to Pet Cemetery, which was absolutely mind blowing. The entry fee is $250 pesos, so it’s on the expensive side, but “Oh my!” it was quite amazing! I think this is my favorite cave to date. We did the “Dark Side of the Moon” passage, and a little bit of the iHop passage. 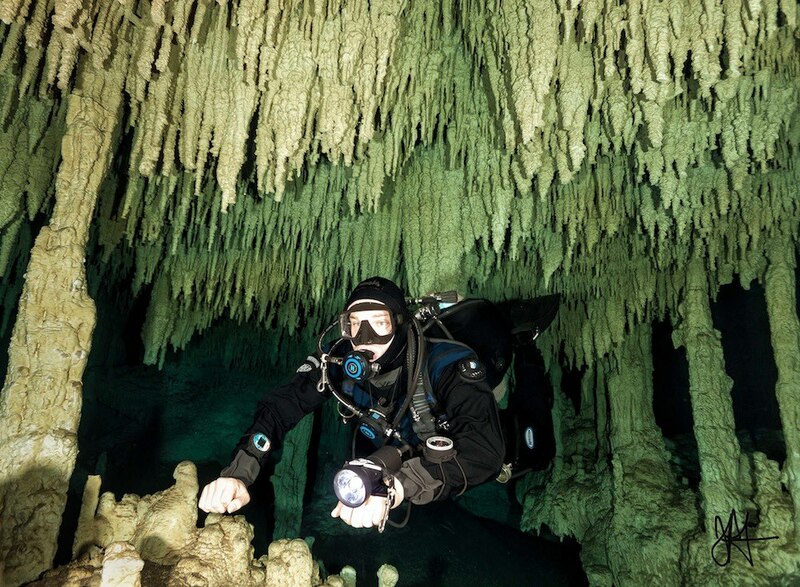 This cave is white, highly decorated, warm, and fresh water. After the dive, we headed back to Villas De Rosa where we had the Pollo (chicken) tacos from the beach bar. These were the best tacos I’ve had, much healthier than what you have here in the US, relying heavily on cilantro for their flavor. 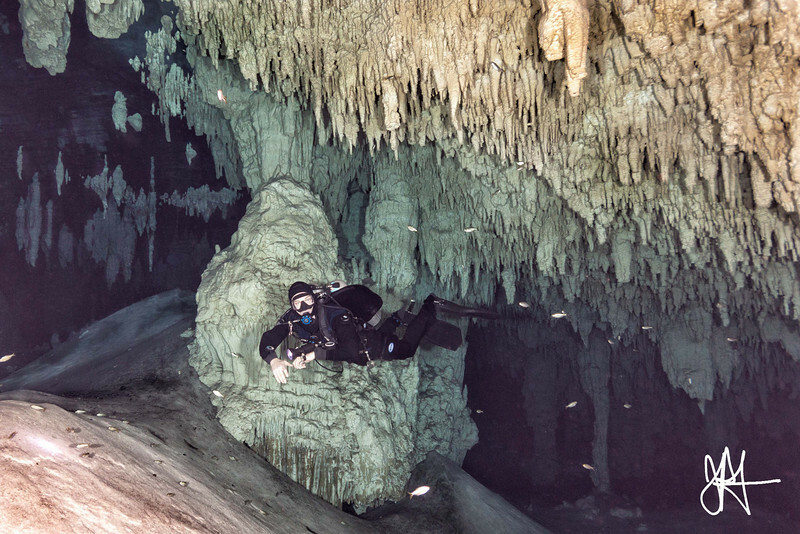 With full tummys, we grabbed a fresh set of tanks and headed to Grand Cenote due to its close proximity and running out of time. 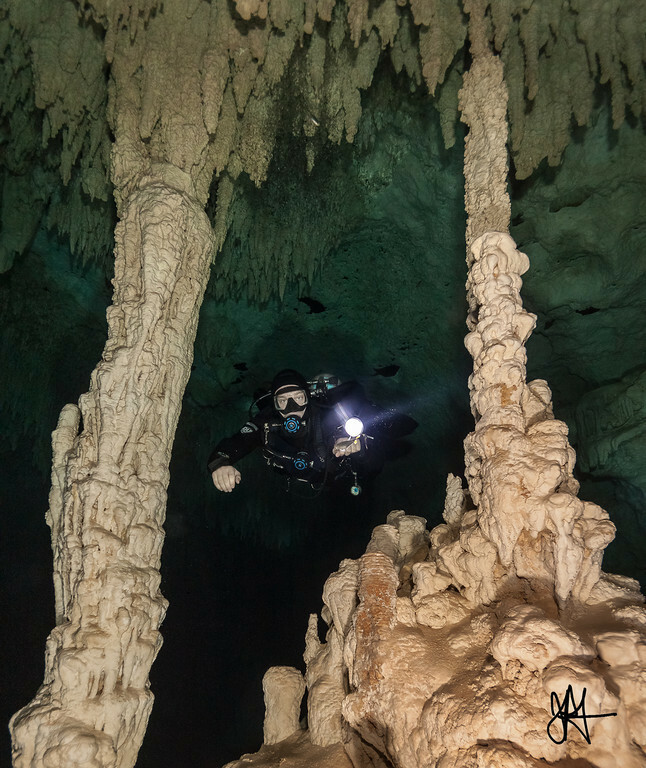 The main line here is slightly harder to find than what you would encounter in the US, but if you look to the far left side of the cenote (from where you enter) and look out for the cave warning sign, you’ll have no issues finding it. This site supposedly has some amazing passage, but since we were on mainline because we didn’t have any specific directions, we didn’t see anything that spectacular compared to Pet Cemetery. John Sampson was kind enough to offer to guide us in Chan Hol, so we met up with him at 10am just south of Tulum. 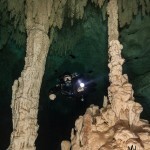 This cave is slightly darker than what we had been seeing, but was beautiful. The entrance fee is $150 pesos (around $15 USD at the time) and paid to the property owners. You head down a slope into a small pool, which has been dug out for easier entry. Upon entering, you head down a narrow slope which quickly opens into a large room and a T. We headed left as this was the easier passage, but the right side also connects back around we were told.